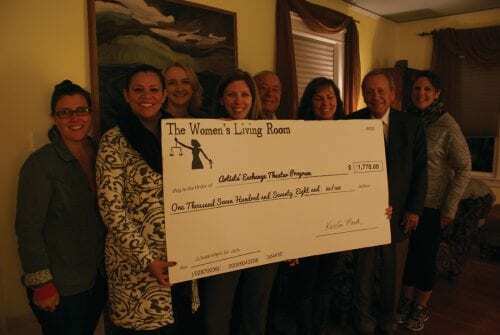 The Women’s Living Room, a giving circle in Cranston RI, donated $1,788 to Artists’ Exchange for theatre scholarships for girls. Pictured are donors, from left, Linda Harris, Lammis Vargas, Kiersten Marek, Kate Aubin, Mike Sepe, Elaine Yeaw from The Artists’ Exchange, City Council President John Lanni, and Paula McFarland. One of the most fascinating trends in women’s philanthropy is the advent of women’s giving circles. In fact, I got so interested in this trend, that I decided to start a giving circle of my own. More about that later. First, let’s take a look at some of the amazing things that giving circles have done over the past year in the U.S. While the idea of giving circles as a vehicle for growing grassroots philanthropy has been around for over a decade, with the new platforms and technologies available for crowdfunding and online donating, the progress on giving circles has really sped up. Giving circles are now propagating in so many forms and varieties, that I get overwhelmed every time I google it and try to write about it. But, just to get us all started, check out the giving circle page at the Women’s Foundation of California. They have developed a number of different ways to use the giving circle. Other signs that interest in giving circles is increasing: Community foundations like The Rhode Island Foundation are offering matching funds for giving circles that meet certain criteria. One expert in giving circles that has made impressive strides in developing the form is Jacquelyn Caster, Founder and CEO of The Everychild Foundation. Check out our article about that work here. And while it’s not a giving circle, per se, we want to give a big shout-out to Women Moving Millions, which has mobilized at least $500 million to date in funding specifically for projects and programs benefiting women and girls. That group has big plans for the future. 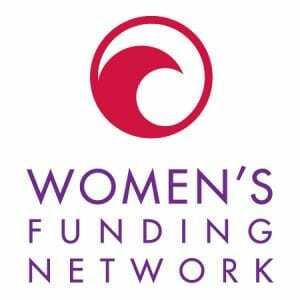 Other major women’s donor networks include Rachel’s Network, the Women Donors Network, the Women’s Funding Network, and High Water Women. All of these collaborative efforts are what make women’s philanthropy so unique and powerful. We look forward to covering this work in depth in the coming years at Philanthropy Women.